cotton | DressCodeClothing.com's Official Blog. 1. Avoid heat and warm water. Heat is the main cause of shrinking in cotton. Most people use hot water to knock-out stains or odor but we must not let the entire garment suffer for one spot. Instead, use soap and cold water. This should get most of it out as long as its not too far gone. If you’ve used warm water to wash the gament even once, it might be too late. 2. Use a slow and delicate cycle. A gentle cycle will prevent the cotton fibers from breaking, therefore; ensuring that the garment lasts as long as possible in its current state. A hot dryer will shrink any cotton shirt that is not already pre-shrunk. 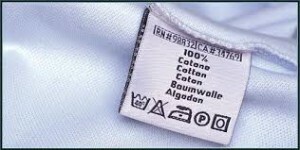 Lying the garment on a clean, flat surface will allow it to dry on its own. For fast drying, place a fan next to a hanging garment and allow the cool air to blow it dry. The ultimate question is: Can you reverse your already shrunken shirt? And I hate to tell you the answer is no. It is important to look at labels when you are shopping for clothes because finding a preshrunk shirt can save you a lot of time and heartache. The only alternative we have to keeping your stuff looking fresh and prevent the shrinking other than the topics above is dry-cleaning. That and never washing your clothes!